“God, what is your religion?” This cryptic question, spotted on a T-shirt at a packed public meeting on religious freedom in the Malaysian city of Petaling Jaya last week, sums up the enormity of Malaysia’s ‘Allah’ controversy. The wearer was a Malay Muslim woman, according to The Malaysian Insider, demonstrating solidarity with the minority Christian population as tensions rise in the country over who can use the term ‘Allah’. 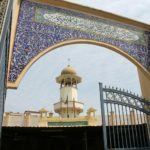 The controversy – for which many Malaysian Christians blame the Government – has now reached a serious impasse. The Christian community remains adamant that the use of ‘Allah’ is their right, despite a ruling by the Court of Appeal last October that ‘Allah’ was exclusive to Malay Muslims. The word predates the birth of Islam and the ruling has been widely criticised by many other Muslim nations, and by the United Nations. About 64 per cent of Malaysia’s Christians come from the Borneo states of Sabah and Sarawak, where the term has been part of their vocabulary for more than 100 years. The indigenous populations of the two states, whose primary language is Bahasa Malay, claim the usage is their constitutional and spiritual right. The Malay Bible dates back to the 16th century and, as the government phases out English in favour of Bahasa Malay, more and more Christians observe their faith in Bahasa Malay. 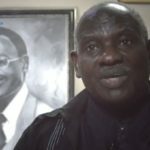 Nevertheless, Islamic conservatives have staged demonstrations outside churches, seized Bibles and continued to vilify the Catholic pastor, Rev. Lawrence Andrew, who took the issue to the courts. In early January Andrew was questioned over charges of sedition, which drew international complaints, including a piece in The Wall Street Journal. Following the raid on the Bible Society of Malaysia two weeks ago and the seizure of more than 300 Bibles in the Malay language, the Islamic Religious Department of the state of Selangor (JAIS) posted an advertisement in The Star, an English language newspaper, defending its actions. 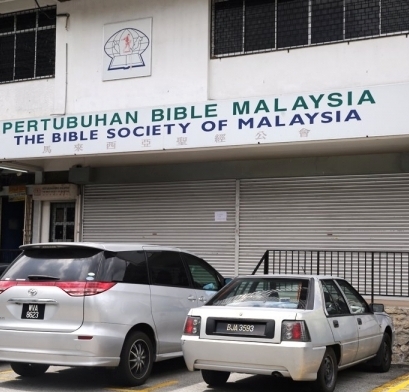 The National Fatwa Council, comprising the muftis, or Islamic scholars, of the states of Malaysia, publicly backed JAIS’s swoop in which they also arrested two officials of the Bible Society. These actions, in a country once renowned for multiracial harmony, go against the grain of a 10-point plan pronounced by the Government of Prime Minister Najib Abdul Razak in April 2011 to resolve the issue. 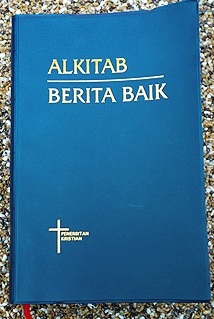 The key element of the pledge emphasised that Christians are allowed to print, import and distribute Bibles, referred to as the ‘Alkitab’ (‘The Book’) in the Malay language. The Prime Minister has so far refrained from defending his policy, while churches have asked him to speak out and to rein in Islamic extremists. But many Christians say they fear Prime Minister Najib cannot be seen to capitulate on Christian usage of ‘Allah’, since it would give ammunition to his political enemies in his ruling United Malays National Organisation party (UMNO), who could seek to oust him from office. Since the party brands itself as the champion of Malay Muslim supremacy and the defender of Islam, it provides tacit support to JAIS and Muslim extremists within UMNO. The Methodist priest has called on Christian ministers in Government, such as Idris Jala, who was a key architect of the 10-point plan, to impress upon the Prime Minister the need to protect religious freedoms. The ‘Allah’ controversy began in 2007 when the Government banned The Herald, a Catholic weekly, from using the word. The Catholic Church contested the order and the High Court restored its constitutional right in 2009. The Government appealed that decision and in October 2013 a three-man Court of Appeal ruled that Malay Muslims had an exclusive copyright to the word ‘Allah’. Legal experts say the court’s decision is flawed and that its ruling, if ratified, should only apply to The Herald and not to other Christian literature, such as the Alkitab, or in liturgy. The Catholic Church has now filed an application for leave to appeal to the Federal Court, the highest legal authority in the land. Liberal Malaysians hope an enlarged bench of 13 judges, including the Chief Judge of the Borneo states, would adjudicate on the issue. The hearing is scheduled for March 5. 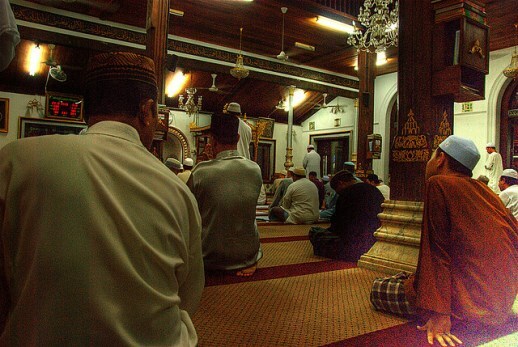 The right to freedom of worship was enshrined when Sarawak and Sabah joined Malaysia in 1963. 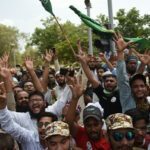 Christian and political leaders in the two states have threatened to break away from the Malaysian union if the Government forces their hand on the ‘Allah’ issue. Most Malaysians are against such an outcome. Given the lack of political will to end the deepening rift, an alternative suggestion was to invite the Rulers’ Council, comprising the nine hereditary Sultans, to convene and rule on the issue. The Ruler of the state of Negri Sembilan last week urged Malay Muslims to respect other religions and to live in harmony, regardless of race. The Muslim Chief Minister of Sarawak, Taib Mahmud, is on record as saying that the use of ‘Allah’ is not a problem in the state and blames the central government for inciting intolerance and racism. 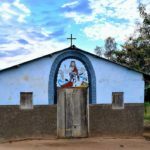 Political observers say that religious insecurities are being whipped up to defer attention away from the Government’s economic and political difficulties. The Government was recently forced to cut back on decades of subsidised petrol and sugar prices as the national debt has reached unsustainable levels. The inevitable rise in the cost of living has fuelled public anger and protests. The scheduled introduction of a Government Services Tax in April 2014 is set to further escalate the cost of goods. Public corruption, scandals, the lavish lifestyle of ministers and cohorts, and a lack of accountability have all severely damaged the Government’s record and the economy in a resource-rich nation. 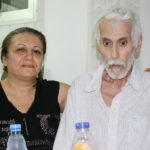 Christians meanwhile have taken succour from progressive Muslim groups such as Sisters of Islam, which rallied to their support, distributing flowers outside a church where Islamists had planned to protest. For this act of solidarity, conservative Islamists demanded their arrests. Other Muslim protagonists, such as Azmi Sharom, an outspoken law lecturer, point out that nowhere in the Qur’an does it say that ‘Allah’ is exclusive to Muslims. “Is [Islam] a religion that is so small in its worldview that it can approve of one community claiming the term for God for itself? Is Islam so lacking in common decency and compassion?” he said. The wearer of the T-shirt posed a fundamental question. The ball is now in the court of the Malaysian Government to openly demonstrate that it subscribes to the ethos of its own Constitution, its own 10-point resolution, and that it will uphold freedom of religion for all.